Entirely depending on one’s skills to perform plumbing chores is not a good idea. Although some plumbing chores are easy to implement individually, others necessitate professional plumbing service. Professional plumbers have the right skills to precisely deal with all plumbing chores. Professional plumbers provide homeowners with manifold benefits as well. They keenly address all the plumbing needs of homeowners. In fact, professional plumbers reduce plumbing costs in the long run. Homeowners do not have to rent plumbing tools when faced with a plumbing issue. The plumbers have the right equipment to get the job done. This article focuses on the benefits accrued when professional plumbers are hired. 1. Multiple plumbing services are offered. The beauty of working with professional plumbers is displayed by their diverse skills. They are trained to handle different plumbing problems that homeowners face. A homeowner does not have to hire separate plumbers for each plumbing task. In one session, the plumbers can perform several plumbing tasks. Professional plumbers extend various plumbing services. 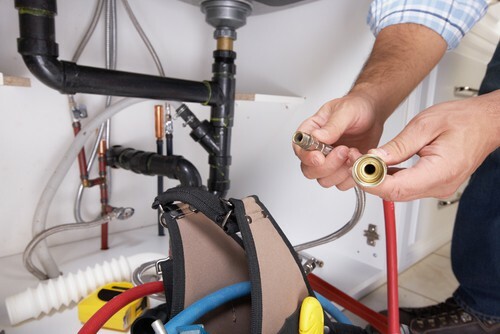 Regular inspection is a common plumbing services provided by plumbers. It is done to detect and prevent occurrence of plumbing problems. This is especially important when a person is moving into a new home or selling a home. It is necessary to ensure there are no plumbing problems that have been left unattended. · The condition of water. The color is checked to detect symptoms of rust. · Visually assessing pipes to detect leaks. · The drainage system in a home. The plumbers assess the drainage flow. 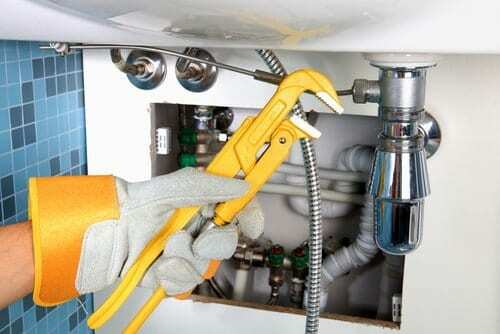 Plumbers extend maintenance services to limit extremely costly plumbing needs and emergencies. The maintenance process takes place after thorough inspection is done. A plumber can exercise to options to deal with the plumbing issue at hand. One of the options involves initiating modifications immediately such as new plumbing installations. The second option involves giving plumbing advice that can be implemented in future in case a similar plumbing issue manifests. · Repairing damaged water pipes. · Repairing water heater leaks. · Unclogging backups in sewer lines. · Repairing gas pipes to stop gas leaks. · Replacing garbage disposals that are extremely worn out. · Replacing damaged water heaters. Plumbing problems are mostly complex in nature. It is hectic for homeowners to diagnose them. This is because they are not endowed with relevant professional skills and experience. Professional plumbers are the best people to conduct a plumbing diagnosis since they are qualified. They always give a satisfactory diagnosis after investigating the problem. Once contacted to tender their services, the first thing they do is carefully evaluating the plumbing problem. · They probe for information from a homeowner about each plumbing problem so as to exactly pinpoint its root cause. · The plumbers analyze all possible factors that are behind each problem. · The plumbers analyze the entire plumbing system to prevent future problems. Upon completion of the diagnosis, a homeowner is given a detailed report that explains the primary factors that necessitated every plumbing issue. The main reason why plumbers conduct a diagnosis is to devise a permanent plumbing solution. Performing plumbing chores independently is frequently unfruitful. A homeowner is likely to aggravate the plumbing problem allowing room for more damage to occur. A homeowner ends up spending more money than expected to conduct repair once again. The case is different with professional plumbing services. 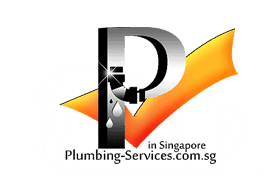 A plumber is accredited to conduct plumbing repairs and maintenance services. There is assurance that plumbing will be done in the right way. The plumber provides warranty to a person for several months or one year. If the plumbing problem recurs before the warranty period expires, a person will get free repair services. This eliminates plumbing expenses incurred in the event plumbing problems arise. The likelihood of a person acquiring the wrong plumbing tools is unavoidable. Utilizing the wrong plumbing tools breeds more plumbing challenges. A homeowner spends many days addressing the issues while achieving little success. The sure way to get plumbing tasks done with the right tools is through soliciting the help of professional plumbers. The plumbers have the right plumbing tools for each plumbing task. Similarly, they know how to handle the tools. They can handle multiple plumbing challenges in a home within a few hours. As a result, plumbing challenges are solved very quickly and the frequency of their recurrence is minimized. Professional plumbers are well aware of the fact that plumbing emergencies are deemed to occur once in a while at any time of the day. They always make it a habit to be ready at all times. This makes them very reliable. In attending to plumbing emergencies, they confirm possession of the right plumbing tools needed to tackle the problem. If the plumbing emergency demands several plumbers and other personnel, the plumbers ensure they have enough individuals to assist with the task. Professional plumbers desist from making plumbing decisions and solutions that inadequately cater for the plumbing issue in question. They spend enough time formulating solutions and only adopt the most suitable and long lasting solution. The plumbers invest in safety equipment to protect themselves from any form of plumbing harm. In dealing with plumbing issues, they process is done while adhering to safety standards. In conclusion, plumbing is very important to ensure the plumbing system in a home is maintained in a good state. Plumbing problems ought to be attended to as soon as possible to prevent bigger plumbing crises. A blocked sewer pipe system can be correctly repaired when professional plumbers are contacted.